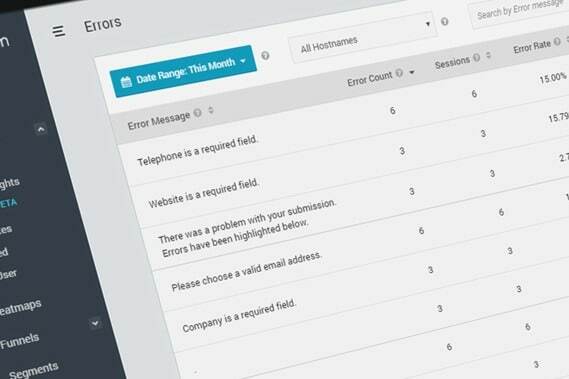 SessionCam exposes your most costly website error messages. Error Detection is updated automatically each day and shows you the errors that have the most impact on the user experience. With our website error detection and reporting you don’t need to trawl through data to see which website errors are leading to drop off. 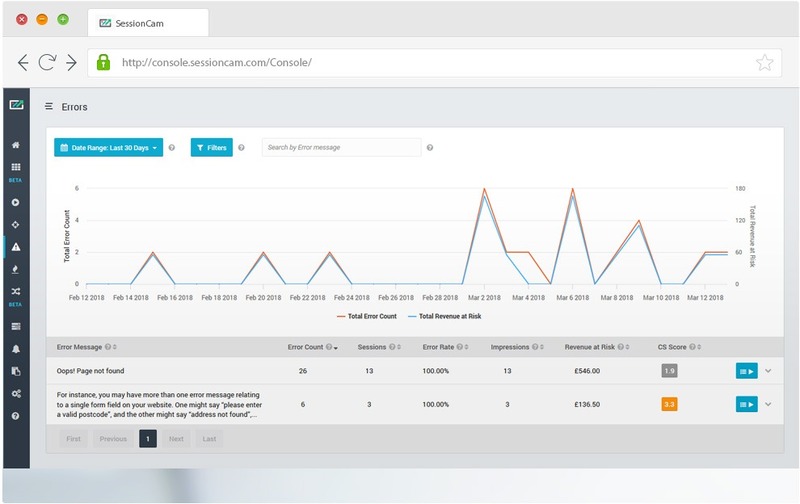 SessionCam automatically identifies and tags the error messages that are having the biggest impact on your conversion rates. Errors on your website are detected by machine learning and ranked by revenue at risk — a calculation of the potential revenue that a particular issue is costing you through drop off. Error Reporting gives you this data instantly by doing the work of a team of developers. Understand the cause and effect to your business of any error message by analyzing error message trends over time using session replay on pages where errors have been identified. "SessionCam’s CS Score is a great example of the use of machine-learning in research, as it analyzes sessions automatically and guides our researchers towards the most important sessions to watch. With SessionCam’s new machine-learning feature called Error Reporting, it allows for an even quicker analysis of customer struggle data."